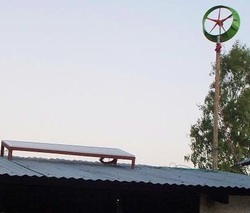 At Machubo Secondary School in Mozambique a solar and wind electricity generating system and 19 LED rechargeable lights have been installed. AHEAD’s field staff, Joao Chidamoio and Joao Venancio, worked with the Ministry of Education to set up the system at the rural school that is totally without power. This project was made possible by Jetpro Technology, Inc., who donated the equipment. 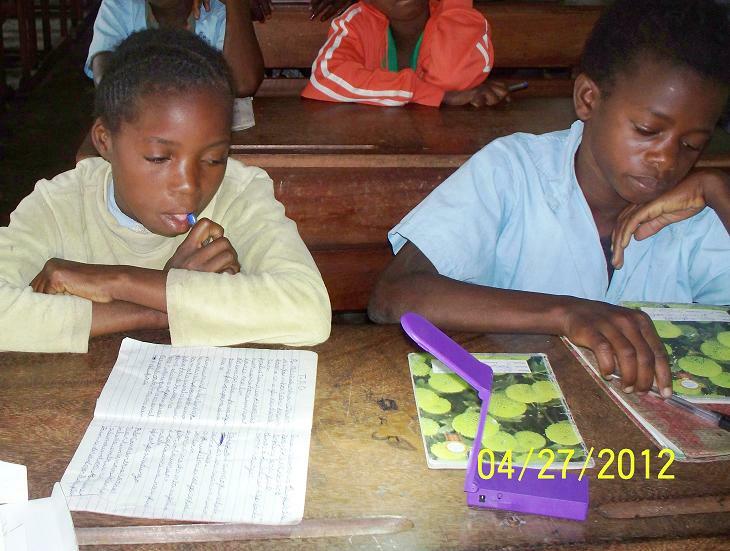 Students have been given rechargeable "pocket lights," that they take home so they can study at night. They bring them back to the school daily to have them recharged.